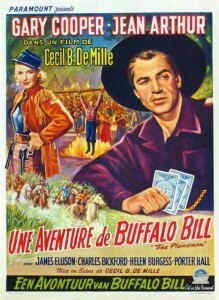 In Belgium, Hickok wasn’t even billed as the main character. 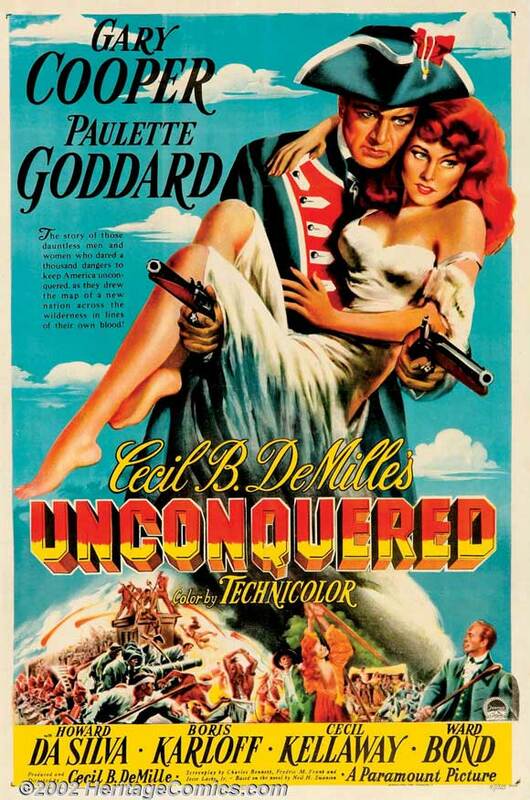 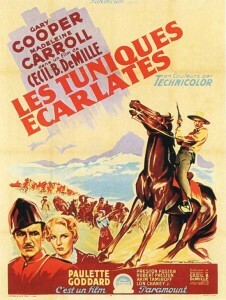 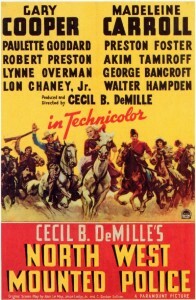 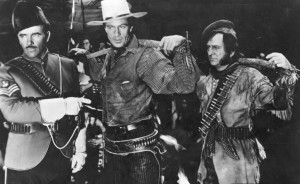 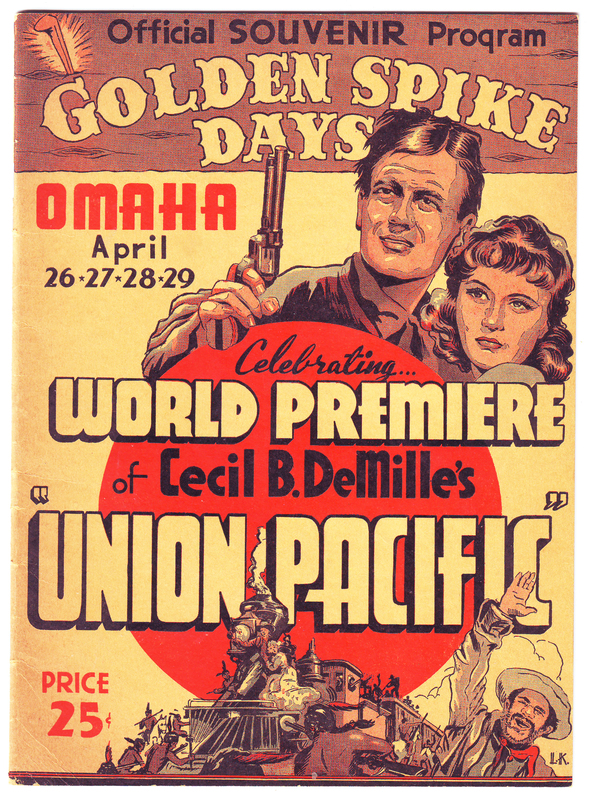 Two or three years later, and this large-scale western would have been made in color. 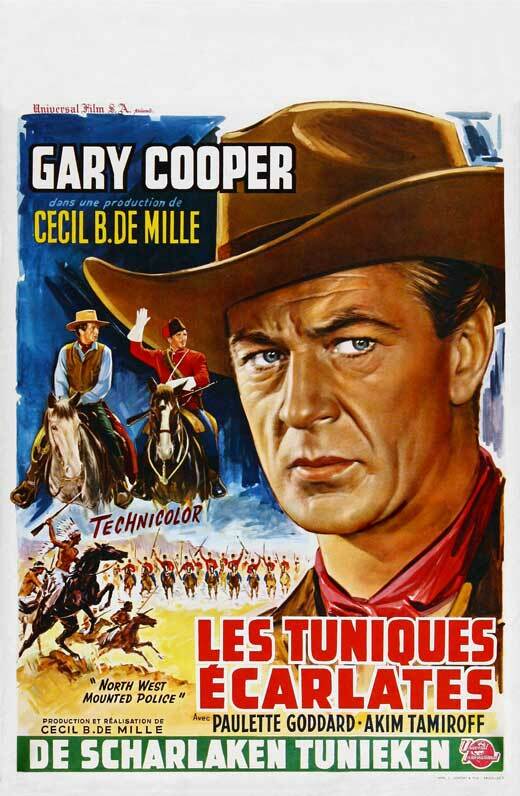 This may be Gary Cooper’s best pre-High Noon western, although many of his earliest efforts in the genre (The Winning of Barbara Worth, The Virginian, Wolf Song, The Spoilers, Fighting Caravans) can be hard to find now. 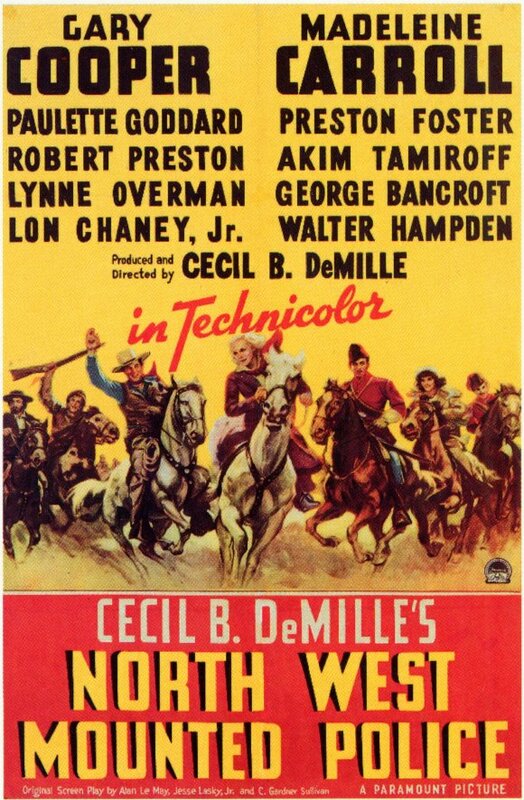 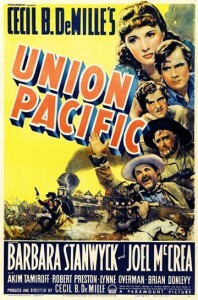 It is better than The Westerner, a 1940 version of the Judge Roy Bean story. 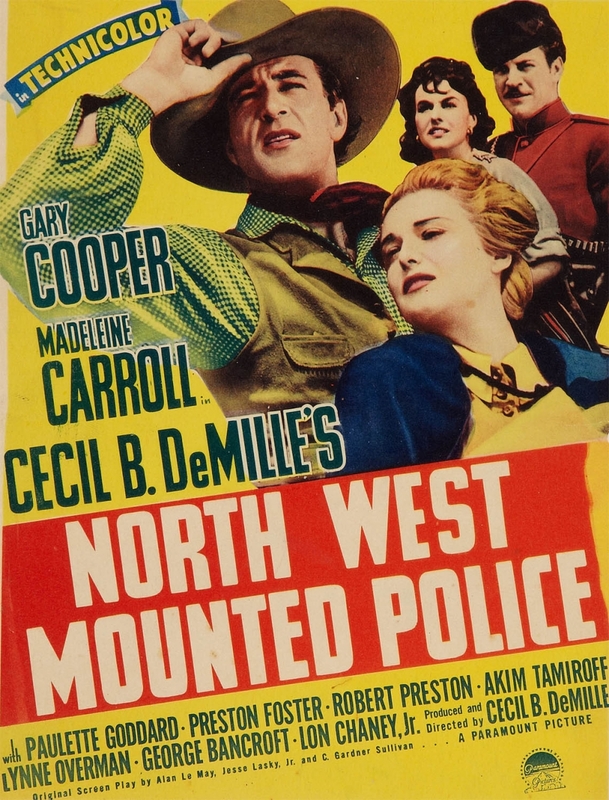 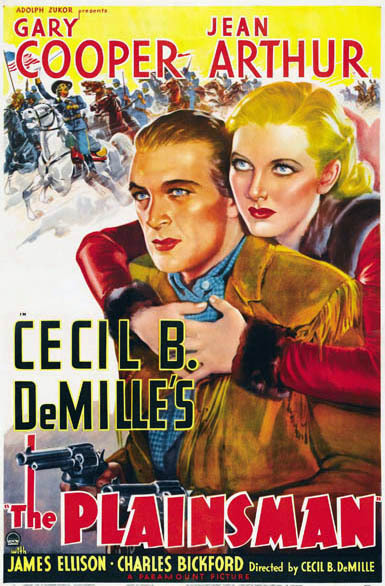 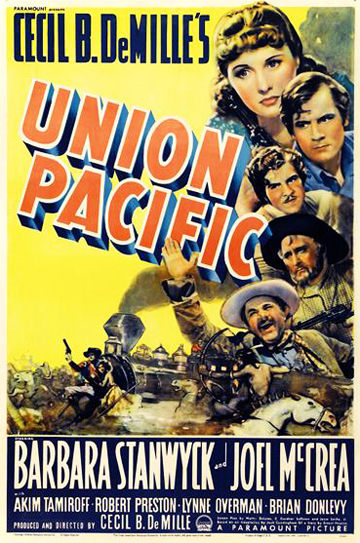 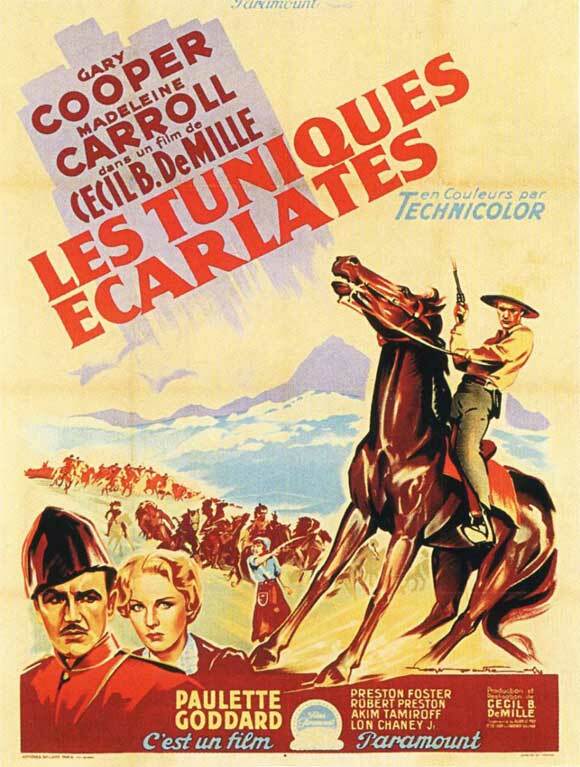 This and the 1936 version of Last of the Mohicans are probably the most watchable pre-1939 westerns of the 1930s. 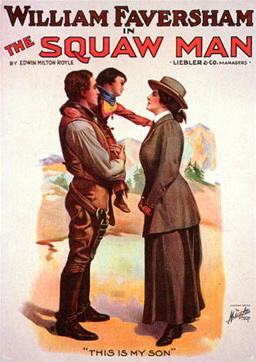 Cooper plays Will Bill Hickok, the long-haired plainsman of the title, although that could also be his friend Buffalo Bill Cody (James Ellison), newly married to easterner Louisa (Helen Burgess) as this film starts at the end of the Civil War. 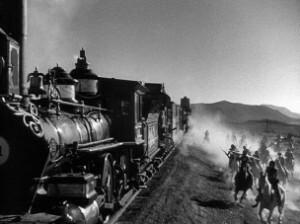 The events between 1865 and Hickok’s death in 1876 are compressed seemingly into just a few months, and the movie is an overt exercise in myth-making. 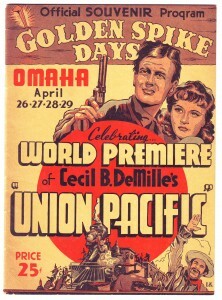 Still, it can be fun to look for the actual history when it shows up. 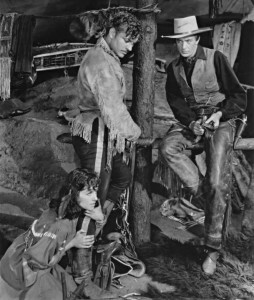 Bill heads to Hays City, Kansas, where he finds miscreants led by Jim Lattimer (Charles Bickford) planning to sell surplus repeating rifles to the Sioux and Cheyennes. 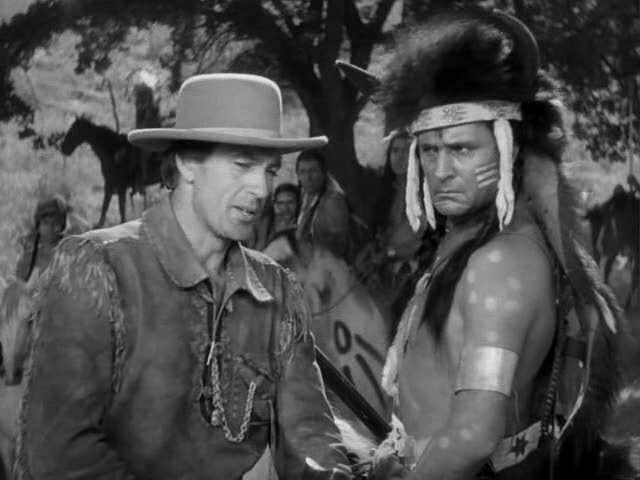 Trying to prevent that, Bill gets into trouble both with the Indians and with Custer’s Seventh Cavalry (the historical Hickok did have run-ins with Custer’s brother Tom and other soldiers as a peace officer in Kansas in the late 1860s). 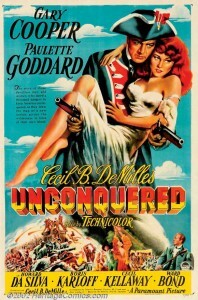 Meanwhile, Cody’s new wife Louisa tries to get him to settle down and start a hotel with her. 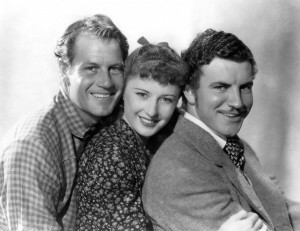 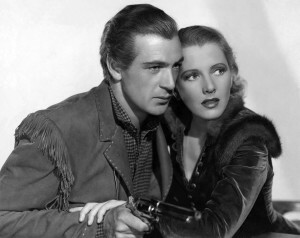 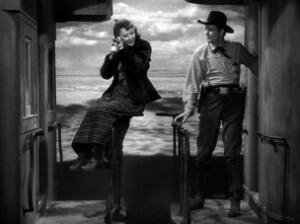 The third principal character is Calamity Jane (Jean Arthur, considerably more blond and much better-looking than the historical character), who has an ambiguous relationship with Bill but would obviously like to make it more romantic. 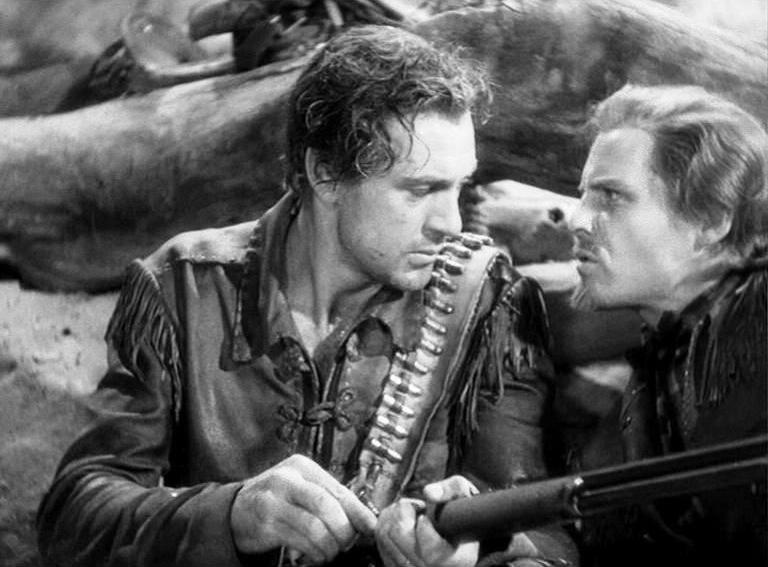 After capture by Indians, a couple of battles and attempts by Custer to find and arrest him, Bill’s pursuit of the gun peddlers takes him to Deadwood, where he kills Lattimer and holds the rest of Lattimer’s gang for the army, until Jack McCall (Porter Hall) shoots him in the back, leaving a beautifully unmarked corpse. 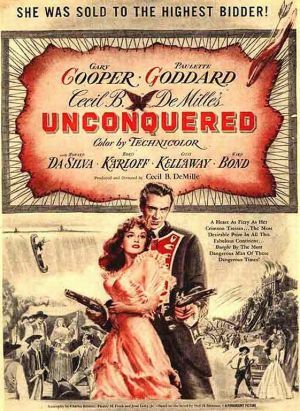 Cody arrives with the Fifth Cavalry, Bill is posthumously exonerated of any wrongdoing and America goes on to conquer Indians, evildoers and the frontier generally. 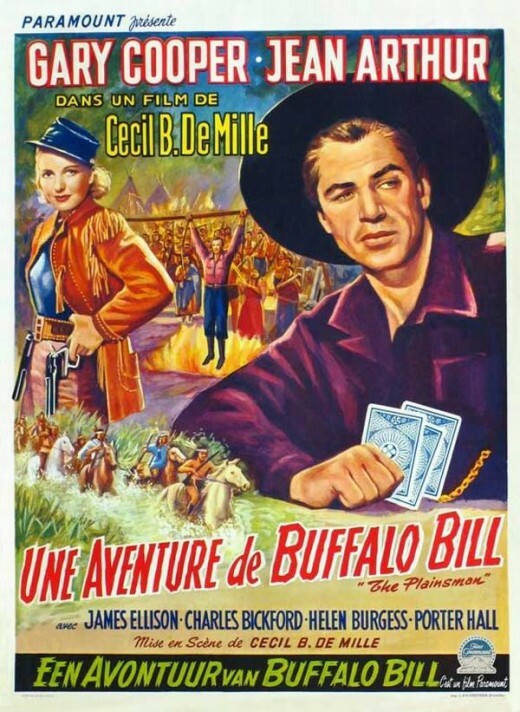 Two frontier Bills (Wild and Buffalo) holding off the Cheyennes under desperate circumstances. 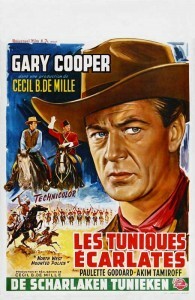 Cooper plays one of the most attractive Hickoks on film, tall and lean with restrained humor and wearing two guns with butts facing forward (he’s convincingly good with them). 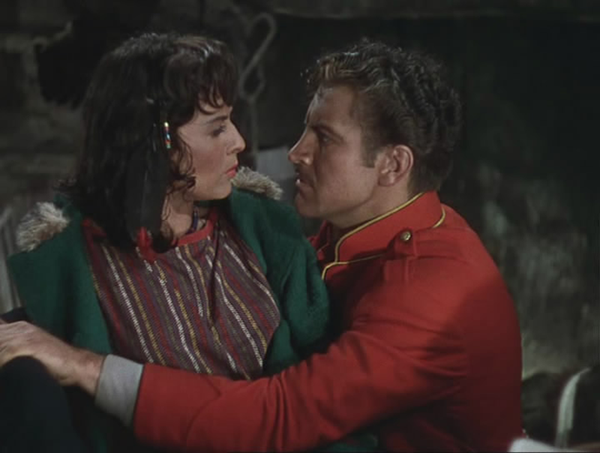 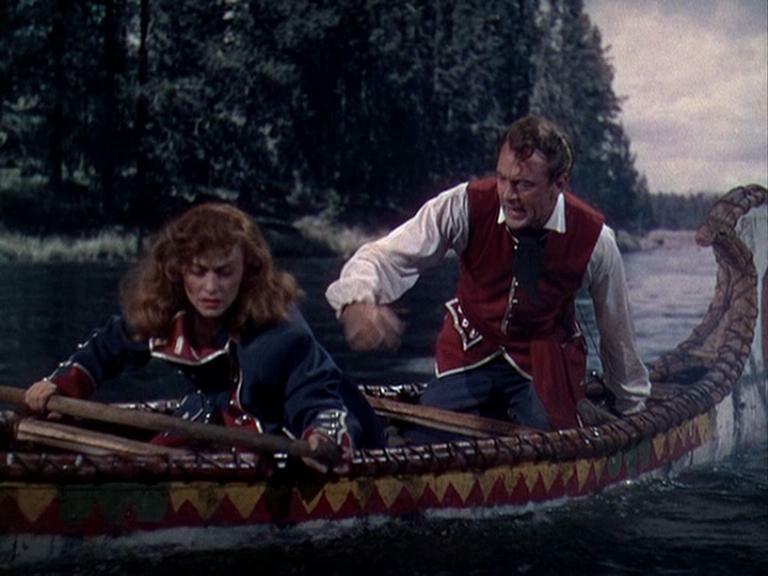 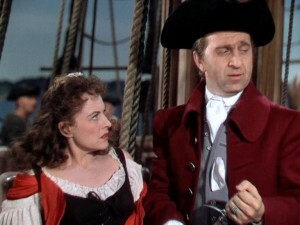 Arthur is quite good as well, although she looks very little like the historical Calamity Jane, and Ellison is adequate if a bit wooden in a good-looking way. 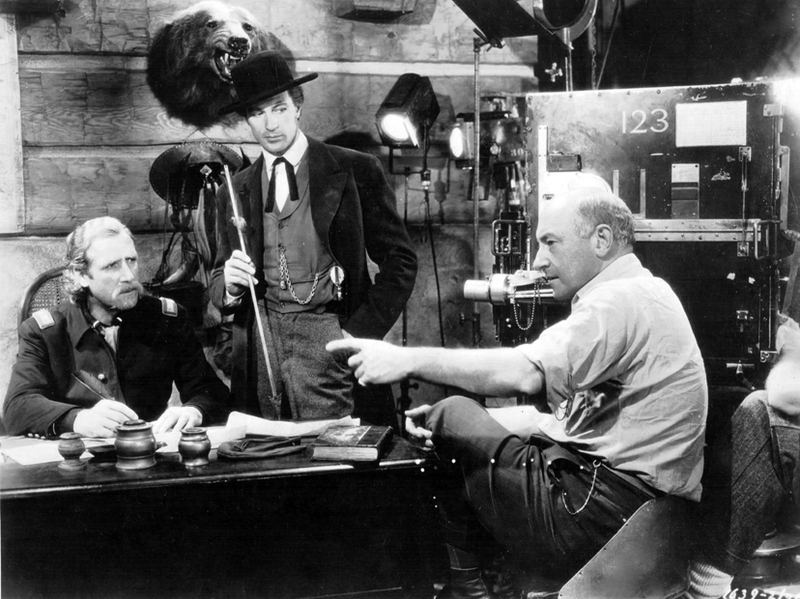 Director De Mille reportedly hated Ellison’s performance and wanted to ensure that Ellison never had as good a part in quite as good a film ever again. If so, he was successful. The historical Cody marriage was troubled, as this one starts out. 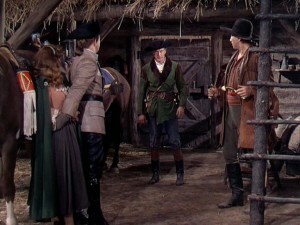 Young Anthony Quinn shows up toward the end of the movie as an unnamed Cheyenne. Jean Arthur began her career in silent movies, and she was in some very good movies in the 1930s and early 1940s. 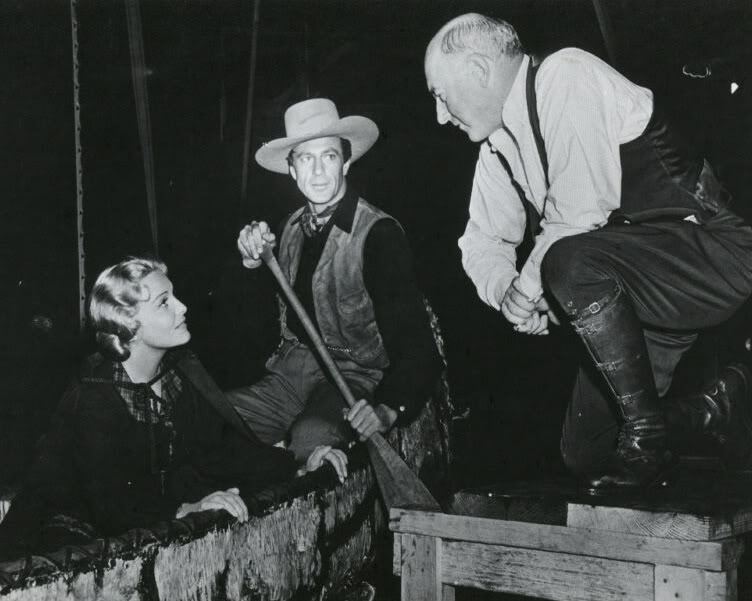 But they were mostly in urban settings working with great directors–Frank Capra, Howard Hawks, George Stevens–in such films as Mr. Smith Goes to Washington, Mr. Deeds Goes to Town, Only Angels Have Wings, The More the Merrier, etc. She wasn’t bad in three westerns, though: The Plainsman, Arizona (1940), and Shane (1953), her last movie. 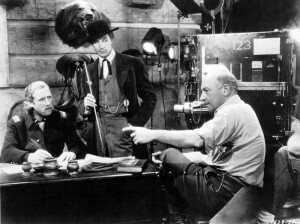 DeMille directs Ellison and Cooper in The Plainsman. 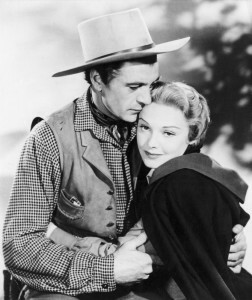 In black and white. DeMille hired famous Indian photographer Edward S. Curtis to shoot some stills and film for this movie. 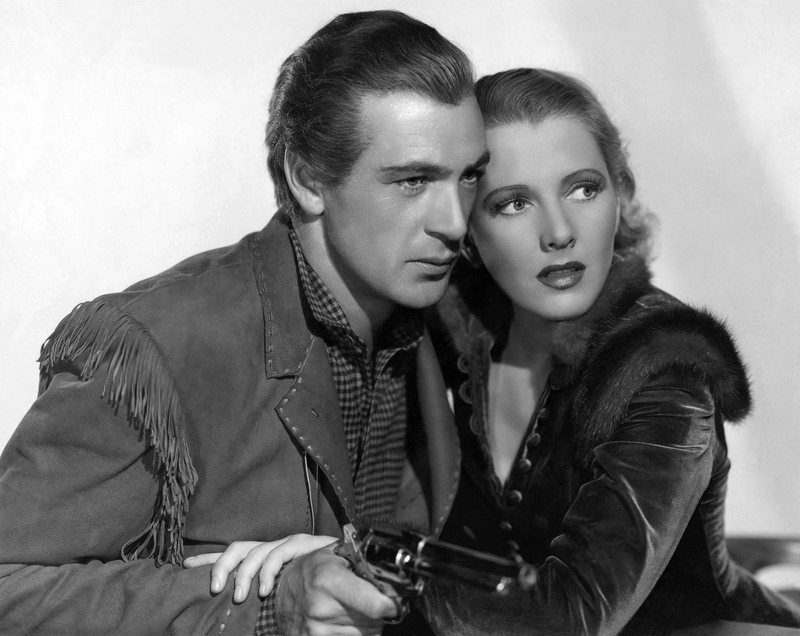 This entry was posted in Westerns Worth Watching and tagged Anthony Quinn, Buffalo Bill Cody, Cecil B. DeMille, Gary Cooper, Jean Arthur, Native Americans (Indians), Selling Guns to the Indians, Wild Bill Hickok on November 14, 2013 by Nicholas Chennault.